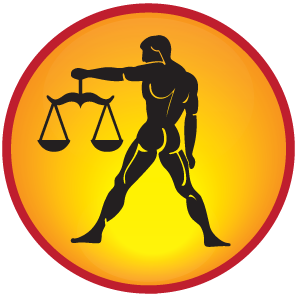 Libra Sign people can read here Libra HOROSCOPE 2015, Libra Astrology, Future Prediction with 2015 Libra Horoscope. Health, Love, Career, Financial Horoscope 2015 of Libra. Meaning: During the birth of time if Moon is in Libra sign then a person will have horse, buffalo and many other vehicles, courageous, devotee of god and pundit, donate and have many wife, prestigious and happy. Jupiter is giving you good result which is good for business and progress. The time will be good for your child and education after July. But Saturn will come in your money place from November 2014 which will affect your earning. Rahu will also affect you. You may have to financial losses due to Rahu. You have to go in courts and hospitals. This year would be better compared to last year. Mars is the owner of your financial position and Moon is the owner of business. If you do above remedy and strengthen the planets then you will get good results. Your business will increase but you will not get satisfaction as the Jupiter is in business place and Saturn’s is in money place. Jupiter will make progress but Saturn restricts the earnings. You have to worship Shri yantra so the financial problem will be solved. You may have seasonal diseases as Ketu in your health place. Your medical reports show no disease but you fell unhealthy. You have to chant Sarpshukat with astrologer. This year gives mixed results in love and marriage life. Jupiter will give you effect after July. You may have crush for someone. You have to match the birth chart before going for marriage. It will be good for both of you. This year will be good for carrier and education. Jupiter has eye on fifth place which will give you good result. A person who is in the field of media, entertainment, and automobile they will get good results. Remedy for Libra 2015: Do fast on Friday. Feed fish on Friday. You can worship Shri yantra. Chant Sundarkand on Saturday.